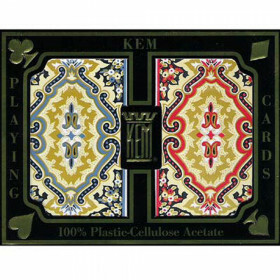 KEM cards are considered by many to be the finest playing cards available. Upgrade your home game with the finest set of professional quality playing cards and stop playing with worn, torn and cheap paper cards today! 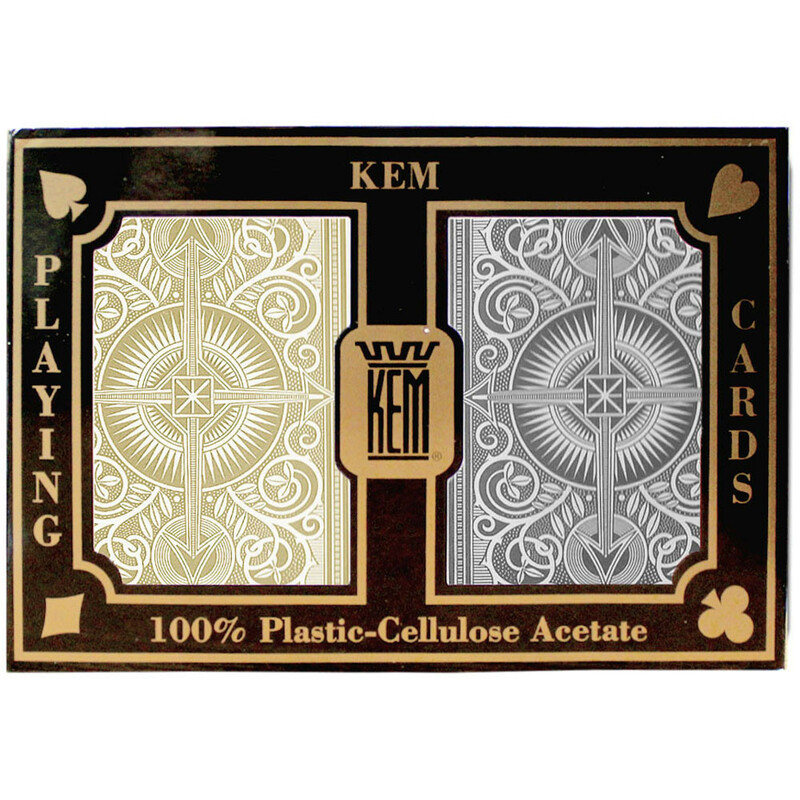 In this set you get 2 decks of KEM quality plastic playing cards (1 black deck, 1 gold deck) in a protective plastic storage case. The cards are bridge size (2.25" x 3.5") and have the jumbo index (larger numbers). If you play cards often, you know how quickly a deck can become worn out, torn, stained and overall ugly. 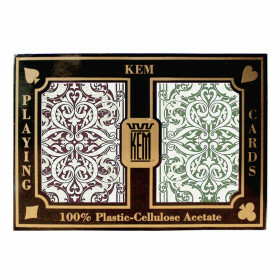 KEM plastic playing cards are considered by many professional card players as the fienst playing cards available. 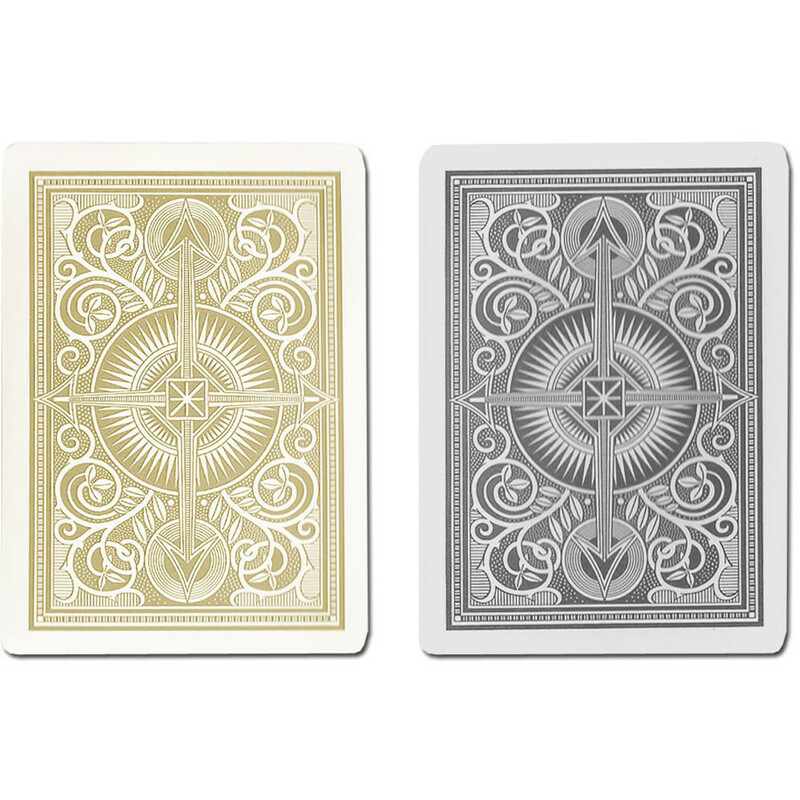 Give your home game an instant upgrade with a fine set of professional quality playing cards today! High quality plasic playing cards are preferred by professional casino dealers around the world. You'll love the feel of these cards, and how easy they are to deal. They are not your dimestore variety paper playing cards! Feel the difference a set of KEM plastic playing cards makes. Deal easily from the deck, slide smoothly across the felt and feel the bend and snap you can only get from a quality deck of cards. These 100% plastic playing cards will outlast those cheap paper or imitation plastic playing cards by up to 50 times! Stop running out to the store to buy a new deck for your big game night.